I consider my admiration of certain entertainment outlets to be a form of artistic expression. In my mind, I “feel” what other mediocre fannies do not. The possessiveness that I feel surely cannot be the same unpredictable, deranged feelings erupting from these random people who have found a way into my inner sanctum. Who let them in anyway? Recently, I was supposed to attend a function with several of MY fandoms. I had it all planned- I would be sophisticated, I would be educated. I.would.be.amazingly.individual. It was to be my night with my people. Sure, other people would be there, but I would stand out. Or…not. Fans!!!!! All 6,000 of you who showed up for my night and ruined my thing! Ugh, screaming, crazy people! Do you not understand how crazy you look, how completely ridiculous you sound? It is time for a reality check here. Poor pathetic party crashers. This is my fandom. I am the queen. I am not quite sure what kind of delusional world you live in, but I am the only one who truly understands. Summer is fast approaching and can I just say, Summer is overrated. You have all of this free time, but ever year it’s wasted. I mean, you can’t just be on vacation the entire summer. SO what are you doing?> Reading. You’re reading and trying to relax in what feels like the few days of summer. Yes, the summer passes so fast it feels like days. Not cool, bro. But, there are few days where you may step outside, get completely bombarded by the sunlight and step back inside. So that’s basically going to be my summer. READING. I’ll probably have quite a few book reviews up during the summer. Might include, Harry Potter Series, Enders Game Series, Stargirl, Love, and The Underland Chronicles. Howie: I used to think the sun was evil but now I know it’s not. Wayne: How’s the moon treating you? The Fault in Our Stars playlist. What did you guys think? I’m currently listening to it, and surprisingly I only like a few of the songs. What I imagined the songs to do was catch the emotion of the story and maybe bring up a few scenes. But I can’t find any that have anything to do with the book except a few. “Tee Shirt”, “Best Shot”, and “Not About Angels” by Birdy are my favorite so far. They really catch the romance of the story, which I love. Plus her voice is so perfect! I like the song “Oblivion” by The Indians also! I mean, Oblivion. Guys. Gus. OKAY? What are your favorites? Please comment below and tell us! So, sorry for the lack of posts on our part, its been super busy around here, and we simply haven’t had time. We won’t let it happen again! Anyways, today we thought we would post something extra special and let you all in on a Divergent movie review. Im sure by now you all know how annoying it is to want to see a movie, but you’re not sure if it’s actually worth your time. Right? Maybe you read the book, and are just certain they will ruin the movie by not making it a 17hr long movie including every single detail from the book. Then there’s the people you can’t stand going saying they’re part of the fandom, when they’ve never even touched the book. Annoying, right? Its a Thursday afternoon, around 7pm, and Ave and I shuffle in to the movie theater unaware of what we’re about to see. As huge fans of the Divergent Trilogy, we were just as skeptical as im sure most of you are. I mean, gosh darn they better not ruin the book for us! So, we were there early and pulled up in to front row seating, sneaking in food (I mean hey, why pay for overpriced popcorn when you can clearly fit 4boxes of candy AND pop in your bag…), and more than likely annoying everyone with our fangirling before the movie began. After around 140 minutes of on the edge of your seat movie watching, it was over. All the anticipation, all the fangirling, all the hope for a good movie was over. To say I was speechless would be a bit of an over dramatization, but to say I was normal wasn’t quite right either. I think I speak for both of us, when I say we were simply….In shock. The movie was amazing, but of course like any movie variation of a book, it did have quite a few changes. So, if you don’t like changes, do NOT go see this movie. For although they kept the movie on around the same track as the book, they changed many scenes. Im honestly not sure how they will incorporate this in to the next movie, for they didn’t even mention Edward! No Edward eye stabbing or anything! Sad news, right? I mean don’t we all go to the movies just to see a guy just stabbed in the eye with a knife? No…Oh okay. Anyways, all in all I would give this movie a 4 out of 5 stars. Great actor choices, and for the most part it kept to the story line. Of course, we’ll stay in high hopes for the next movie…INSURGENT!!!!!! If you checked out the movie, feel free to tell us what you thought on either our email, Facebook, or in the comment’s section below! Thanks for reading and check back later for more Fandom fun! If you look around our blog page you will find that we have a Goodreads and Facebook Page. Goodreads is basically our online bookshelf where we will post our ratings for books. Facebook! You can show your love by clicking the like button in the box below! We also just made a Google account, beyondthefangirl@gmail.com . If you need advice, send it in and we’ll answer! If you have ideas or questions, please feel free to send them in as well! But c’mon every fandom has something in common and that’s the love of reading. Let’s bond over that, yeah? Hello! Welcome to the blog of Cass and Ave.
Ave here! I’m 15 and a half. I absolutely LOVE reading and writing. I have many fandoms but most of which are from books. I enjoy playing guitar and running. Reading, have I mentioned reading? Ah, yes. Okay well. Be prepared for your mind to be blown with all of our amazing posts. I hope that you’ll thoroughly enjoy all of our rants and vents. We created this page out of pure fangirling with a side of advice. If you ask, we’ll answer! Hey there, Cass here! 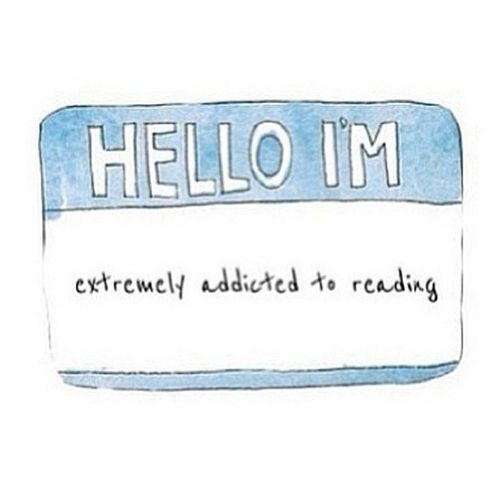 Im also 15, and am a total book nerd. In my free time I enjoy writing a ton of poetry, singing, and well….Reading. Ave and I have been friends for years now, and just recently decided that fangirling to eachother just simply was not enough. So, we decided that we needed to unite all the Fandom Family in a place where you can find everything Fandom. From The Fault in Our Stars, Divergent, and even The Hunger Games, we’re your one stop shop. We even dish out advice, and give you all the insight to everything you need to know. So sit back, pull up a chair, and prepare to be dazzled!